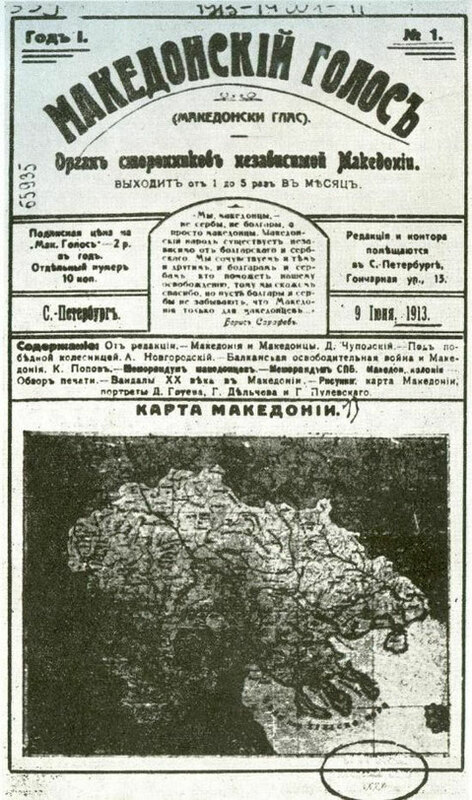 Macedonian Voice - Makedonski Glas 1913-14 - republic-of-macedonias jimdo page! 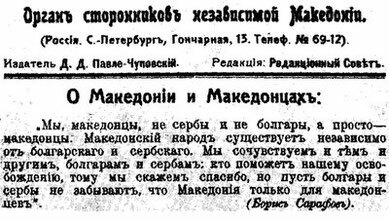 We the Macedonians, are no Serbs nor Bulgarians, but simply Macedonians. The Macedonian People is existent independant of the Bulgarian or Serb People. We have sympathies with both of them, Bulgarians and Serbs; who will hellp our freedom fight, to them we will say thank you, but damn Bulgarians and Serbs forget that Macedonia is so precious for the Macedonians.